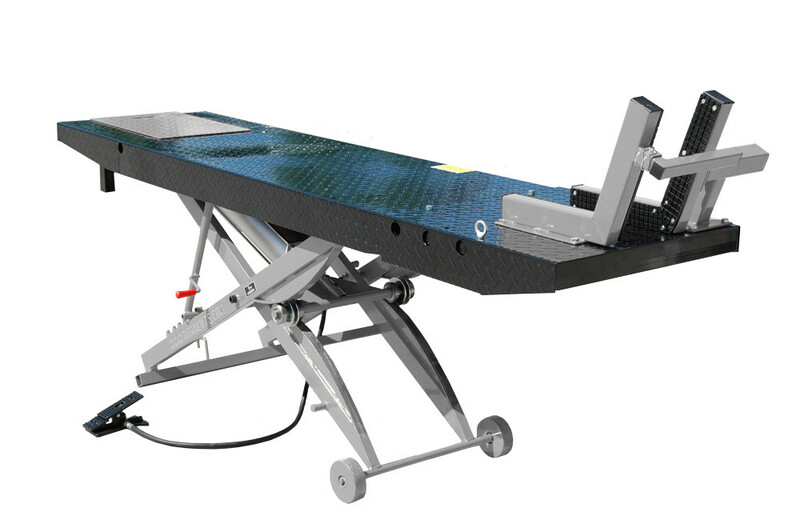 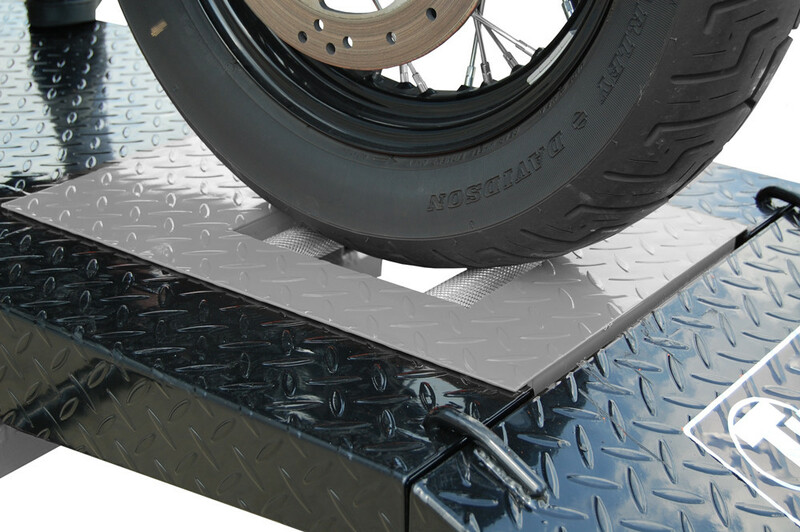 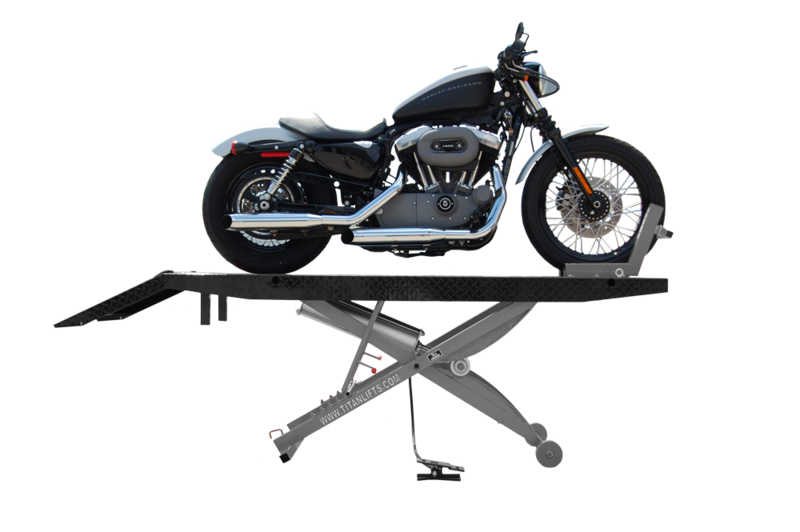 The heavy-duty diamond plated Titan 1000D is an air powered lift table that has a 1,000 lb. 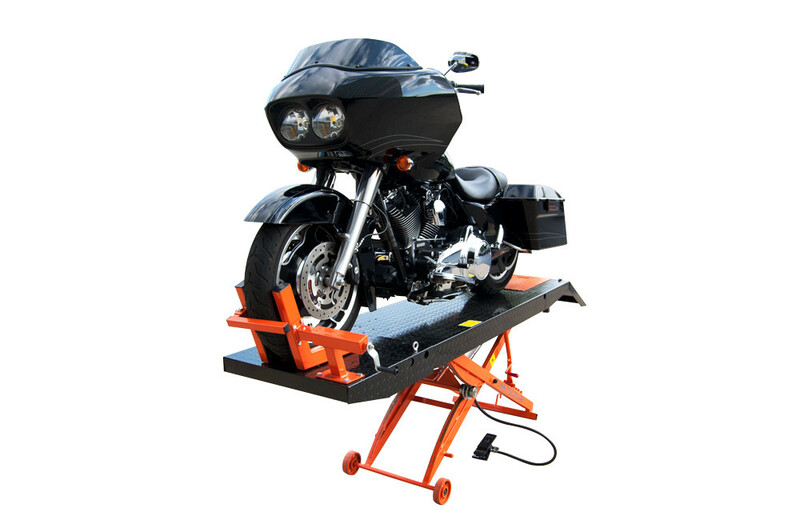 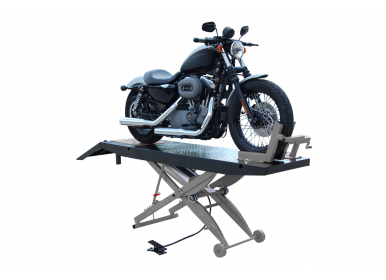 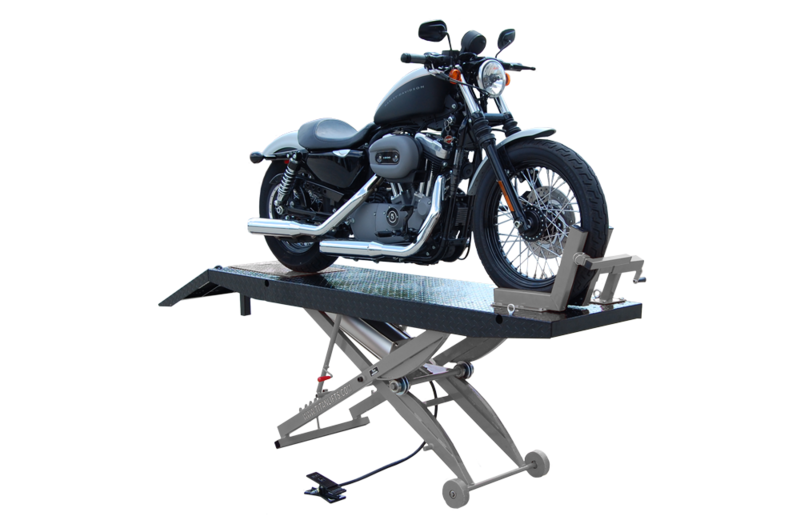 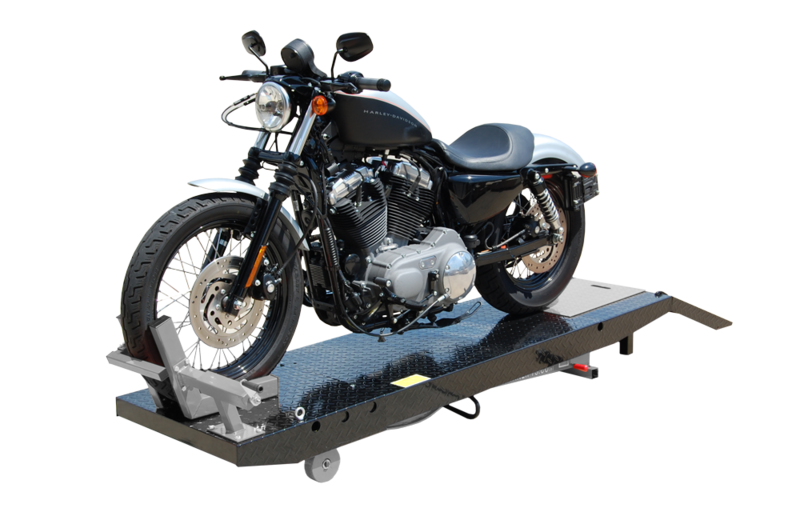 lifting capacity and an extra long working table so that even your longest motorcycle won't have a problem fitting on the 99" work space. 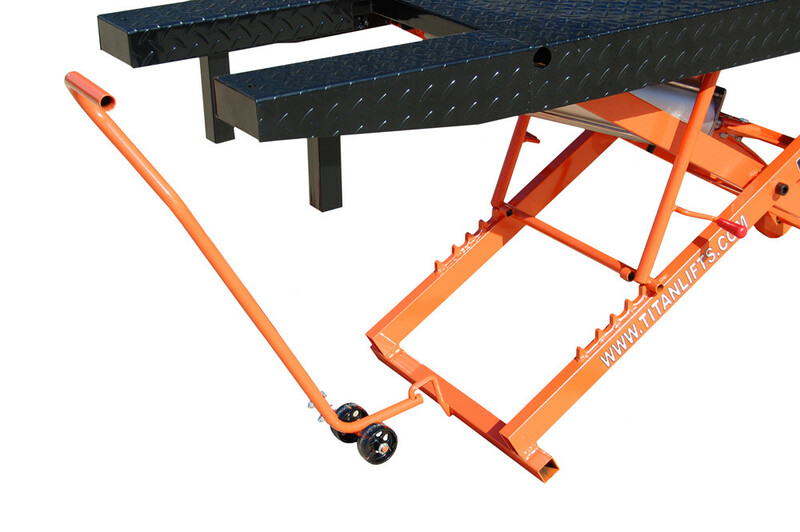 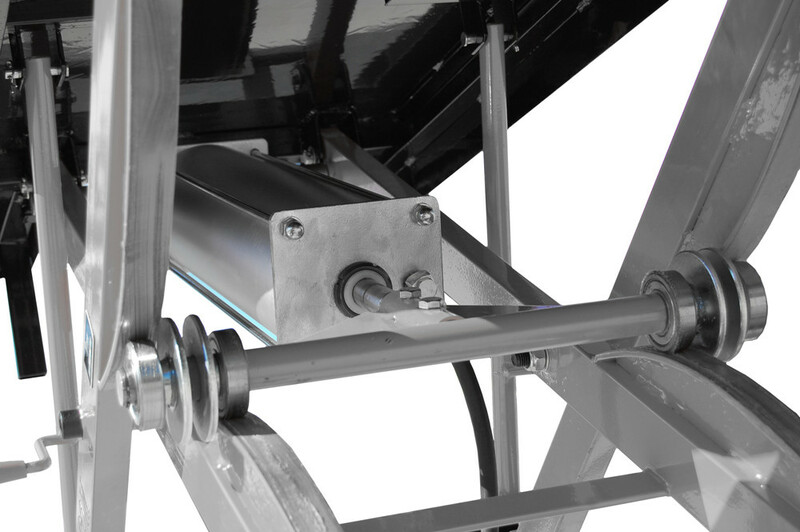 With a max lifting height of 33", the 1000D is a perfect addition to any shop or home garage. Choose between two different powder coating color schemes of Black & Grey or Black & Orange.